Don’t you miss the Cold War? But then I started watching The Americans on FX. 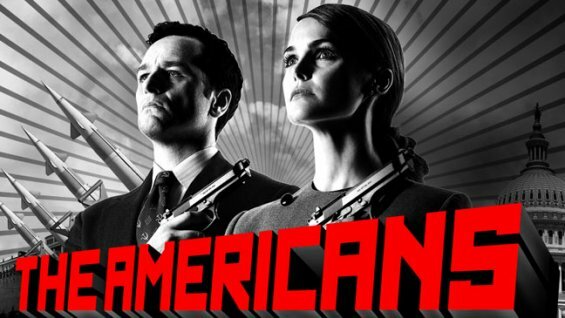 The Americans is set during the Reagan presidency. Two KGB spies live in Washington D.C., posing as your typical American married couple with two kids. Their neighbors think they’re travel agents. Their kids do, too. But they are really working with a network of spies and informants to further the cause of Mother Russia in the States. Only three episodes have aired, and I am totally hooked. My neighbor Margo Martindale — of Justified fame — popped up last night as a KGB officer. I mean, come on! You simply have to watch. They’ll know if you don’t. This entry was posted in Commentary, Entertainment, History, Humor, Life, Politics, Television, TV and tagged Cold War, commentary, entertainment, FX, FX Network, history, Humor, informants, Justified tv show, KGB, life, Margo Martindale, married couple, moose and squirrel, Mother Russia, politics, Ronald Reagan, spies, spy network, Television, The Americans tv show, travel agents, TV, Washington DC. Bookmark the permalink.